A new study on preferred ways of addressing neck or back pain in the U.S. has been released by Gallup and Palmer College of Chiropractic. Amon the findings: 79 percent of U.S. adults would prefer to address their neck or back pain using methods other than prescription medication. The study results, released Oct. 3, 2018, include findings on Americans’ preferences for neck or back pain care, patient experiences with health-care providers and the prevalence of various methods for addressing this type of pain in the United States. Americans are open to an all-of-the-above approach to address neck and back pain. Sixty-seven percent of Americans suffering from neck or back pain would want to see a professional who treats neck or back pain using a variety of methods including prescription medication or surgery. Still, 79 percent of U.S. adults would prefer to try to address their neck or back pain using methods other than prescription medication first. Many neck or back pain patients use self-care techniques – non-drug therapies such as superficial heat (77 percent), yoga (72 percent) and cold packs (60 percent). However, many also use non-drug therapies that require a health-care professional for care, such as massage (53 percent), spinal adjustment (47 percent) and physical therapy (42 percent). Americans’ reasons for visiting different practitioners vary. Among those who’d seen an M.D. most often for recent neck or back pain, the top reasons were insurance coverage (38 percent), trust (30 percent), habit (26 percent) and effectiveness (23 percent). For physical therapists, it’s safety (50 percent), insurance coverage (47 percent) and effectiveness (42 percent). For chiropractors, it’s safety (54 percent), trust (53 percent) and effectiveness (52 percent). Roughly nine out of 10 adults who saw a chiropractor most often for significant neck or back pain in the last 12 months say their chiropractor often listens (93 percent), provides convenient, quick access to care (93 percent), demonstrates care/compassion (91 percent) and explains things well (88 percent). Similar percentages exist for physical therapists. Adults who saw a medical doctor most often for neck or back pain are less likely to say their health care provider did these things – although majorities still do. Seventy-two percent say their medical doctor listens, 67 percent say their medical doctor explains things well, and 66 percent say they demonstrate care/compassion. 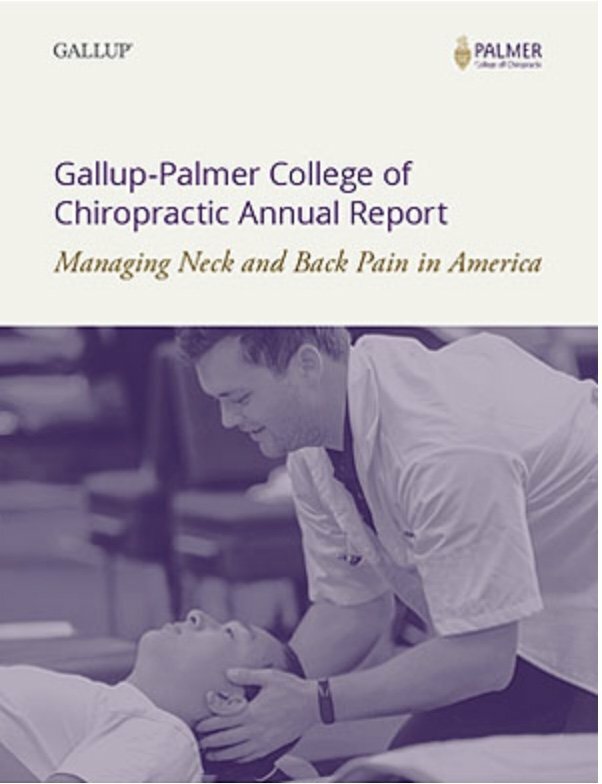 To read the new report in its entirety, visit www.palmer.edu/alumni/research-publications/gallup-report/managing-neck-and-back-pain-in-america/.